With the recent rise of sustainability, recycling and “repair don’t replace” culture, there’s never been a better time to get the paintbrushes out and breathe a new lease of life into some old items around the house. Upcycling furniture is a great way to improve some old furniture, but not many people think to actually change parts to improve the overall piece. 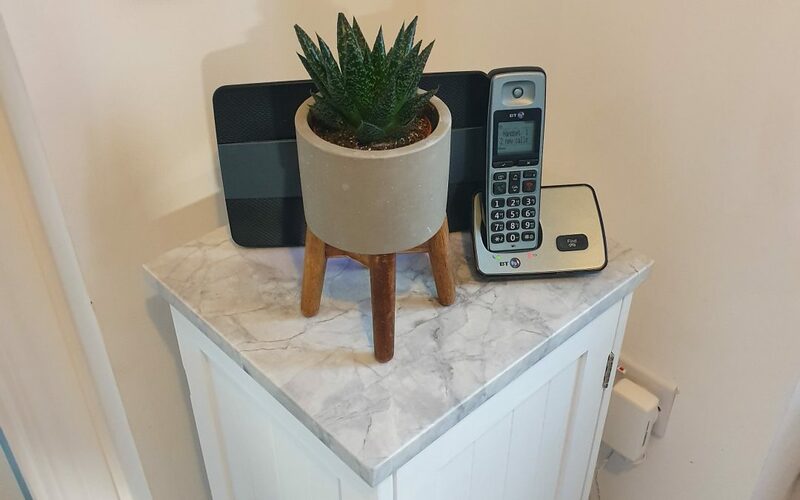 Sourcing some stone to place on the top of a wooden unit can transform the final product and make it look much more luxurious. When it comes to picking the right piece of stone, there’s nowhere better to go than Steve Bristow Stone Masonry. With one of the largest stock holdings in the South West, the perfect offcut is here just waiting to be chosen by you. Think it might be too complicated? Think again! This telephone unit was looking quite sad in its location at the entrance to the house with a tangled mess of cables hidden behind it. A perfect subject for some upcycling and innovation! The first thing to do was decide what to do with the unit. 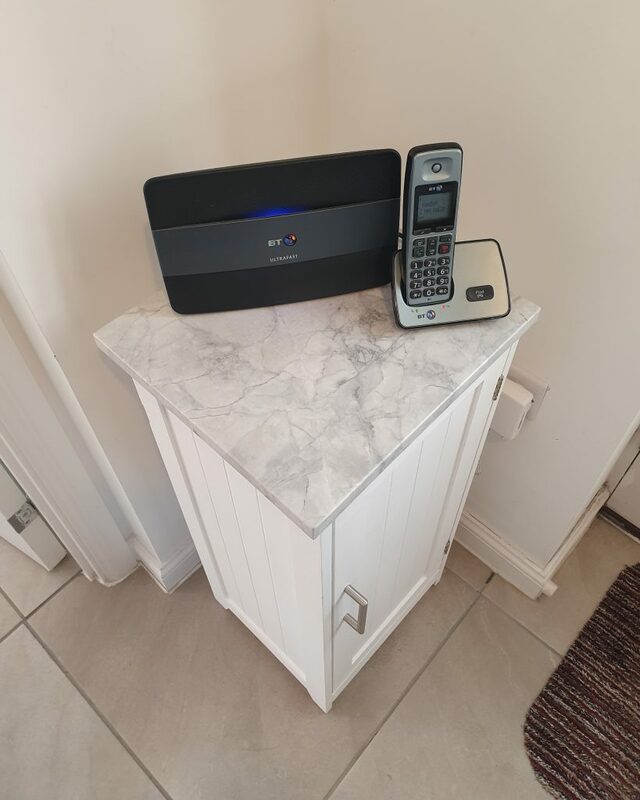 It needed a new lick of paint – matt white was the choice, a new handle and hinges (the originals had previously been painted) and a new piece of stone to replace the wooden top. 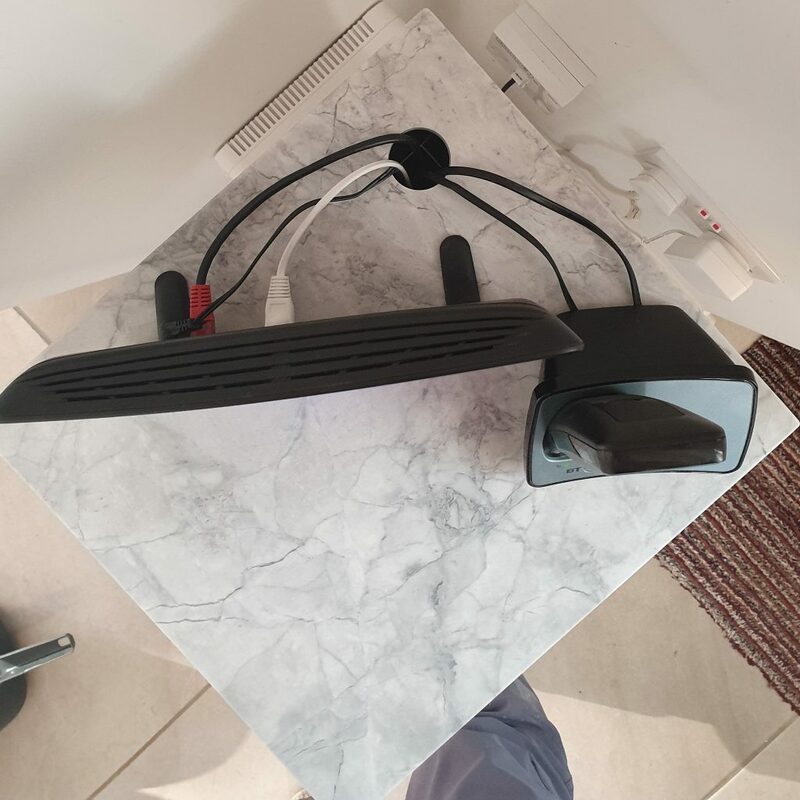 The cables had to be hidden inside the unit too so a hole in the side and the top needed to be added. Next step was to get the top measured and take the dimensions into Steve Bristow Stone Masonry to find the complimentary piece of stone. There is plenty to choose from but Bianco Eclipsia was the stand out choice. The order was made and the piece of stone reserved. While the stone was being fabricated it was time to get the unit sanded and re-painted. 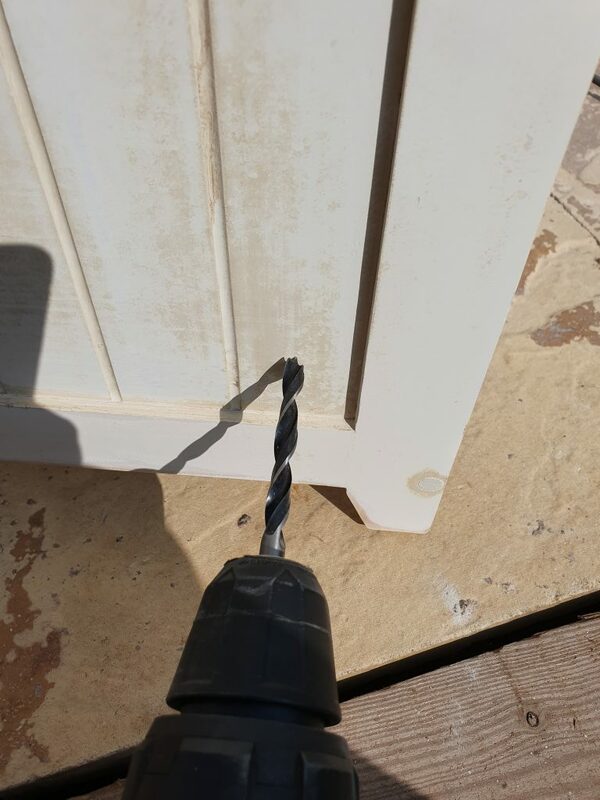 An electric sander made the paint stripping easy and a sunny afternoon helped the paint dry quickly. 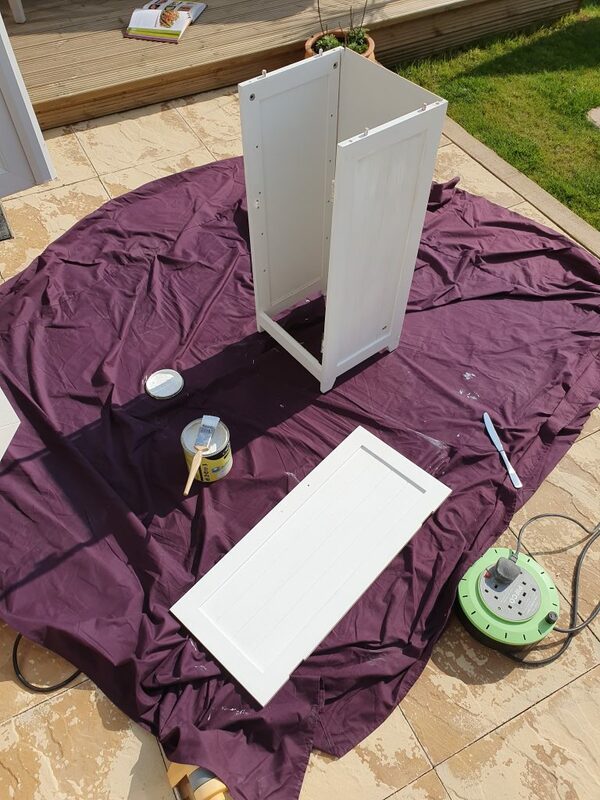 There are plenty of guides on the best way to paint different types of wooden furniture online. Supply Only works usually take a week to manufacture and once the Bianco Eclipsia was fabricated, it was glued to the top of the unit. 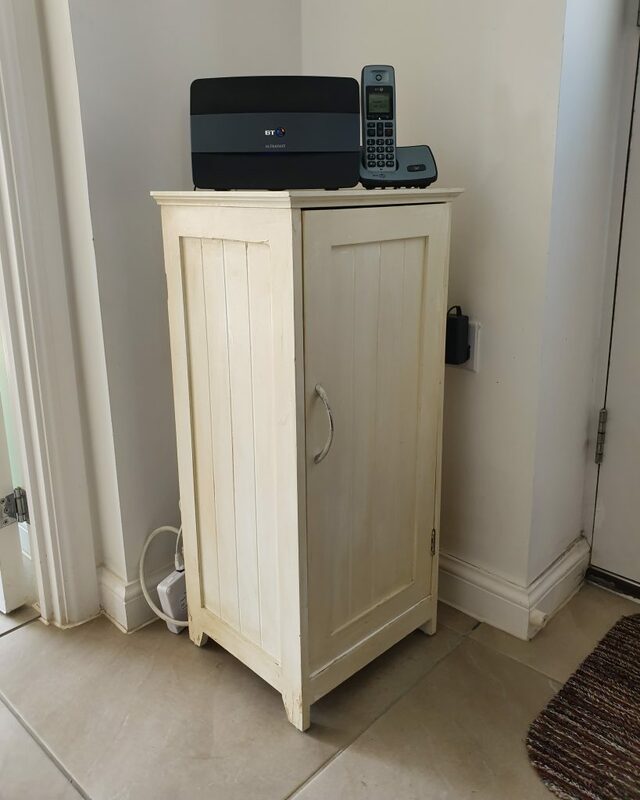 All of the electronics were fed up through the unit and the upcycle was complete! Feeling inspired? 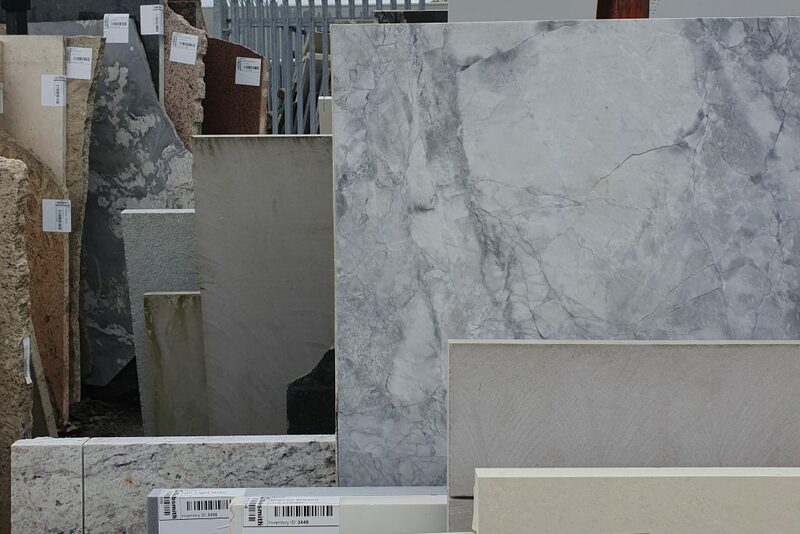 Have a look at our Granite and Quartz pages to see what materials we have. Send us an email with some dimensions for a price or come on in to our showroom and see the stone yourself. Good luck!